April 15 (well, April 17 this year) is just around the corner. Are you ready for Tax Day? 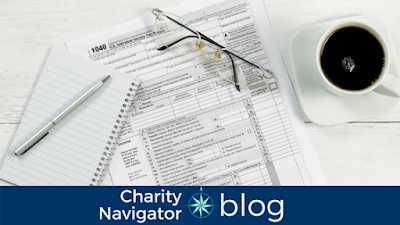 Hopefully, you’ve already filed your taxes or dropped your materials off with your tax preparer, but for those of you who live for (or require) the down-to-the-wire pressure to get your taxes submitted, we’re sharing some helpful tips and information about deducting your charitable giving. Keep reading to learn more about itemizing your donations to maximize your deduction. Not all donations are tax-deductible! To qualify as a tax-deductible contribution, the gift must be made to a charity that has been designated as a 501(c)(3) organization by the IRS. And, you can’t receive anything in return for your gift. Organizations that receive a 501(c)(3) designation from the IRS are typically service providers and are not involved in political or lobbying activities. For example, a contribution to your local animal shelter that is involved in rescuing pets, providing them shelter, and finding them new homes would be tax-deductible. However, a gift to your favorite political candidate’s campaign would not be. A quick tip: Charities must receive a 501(c)(3) designation to qualify for a Charity Navigator rating. Did you attend a gala or dinner fundraiser this year? The cost of your meal (what the organization pays for the venue and your dinner) is not tax-deductible, however, anything in excess of that cost may be. Contact the organization to find out. Donations must be made in the calendar year. For this tax year, this means your contributions must have been made between January 1, 2017, through December 31, 2017. If you’re one of the many people who wait until the last week of December to make their donations, make sure your receipts are all properly dated for the 2017 calendar year. Donations must be properly receipted. We know it’s annoying, but it’s important to hold onto all of your donation receipts. This will help you keep track of all of your charitable giving when it comes time to file your taxes, and provide you with records of your gifts if you were to be audited. It is important that your donation receipts include language stating the date the gift was made, the amount of the gift, how the gift was made (cash, stock, in-kind, etc. ), and that no goods or services were received in exchange for your gift. If you’re looking for your receipts after giving through Charity Navigator’s Giving Basket, log into your account to see your donation history. (You can also manage your recurring donations through this page if you’re looking to give even more this year). Donations must be in excess of the standard deduction. Every tax filer will receive the standard deduction based on whether they file individually or as a couple. For charitable contributions to count toward increasing your deduction they must be in excess of the standard deduction. A tax prep service or your accountant will recommend itemizing your deduction if it exceeds the amount of the standard deduction. They will use your donation receipts to properly deduct your charitable contributions. For specific questions about filing your taxes, deducting charitable contributions, or planning for future charitable giving, it is always best to seek the opinion of a professional accountant or financial adviser.